Fantasy author known for writing the story for the original Godzilla film. He began writing while working in the Ministry of Finance in 1940. He won a sweepstakes in 1946 with his short story “Orang-Pendek’s Revenge,” which launched a recurring series and allowed him to leave his ministry job and make his living off of writing. The second installment of “Orang-Pendek” won the Japan Detective Writer Club’s Newcomer Award. 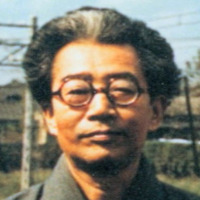 Kayama specialized in speculative fiction, especially in regards to unexplored territories and unknown creatures. He first wrote the treatment for Godzilla (1954) as a radio play, which was aired before the film’s premiere. He later adapted Jojiro Okami’s original story for The Mysterians (1957) for the screen, along with Takeshi Kimura. Kayama also wrote the story for Ishiro Honda’s elusive abominable snowman film Half Human (1955).